Starting Block was Diversity Films‘ national filmmaking and training programme. Launched in May 2010, the film scheme was open to new filmmakers across Scotland, aged 16 and over. From a long list of fresh and spellbinding short film ideas, 15 were shortlisted and developed further – of which eventually six were selected. The six ideas underwent a period of thorough development before they finally went into production. With subject matters of the six shorts ranging from disability to burgeoning sexual identity, from alcoholism to autism and from farming to ultra running, the final result are six completely different films, showcasing a variety not only of inspiring emerging talent, but also a series of captivating snapshots of Scotland today. Diversity Films encouraged people to collaborate across communities and generations and worked with people to form teams around each production. The six Starting Block films premiered at Glasgow Short Film Festival in association with Glasgow Film Festival and went on to screen across Scotland and in some cases the world. Starting Block was funded by a mixture of national and regional funding with Creative Scotland (previously Scottish Screen) and the Paul Hamlyn Foundation as the key backers. Other regional funders include the Holywood Trust, LEADER Fife, Dumfries & Galloway Community Learning & Development Department, Celebrating Fife 2010 and North East Glasgow Area Committee. Diversity Films are pleased to present the first year of Starting Block films at SMHAFF 2011. Starting Block is our core filmmaking training and mentoring programme which provided six filmmaking teams with the opportunity to develop and produce their first short film commission. The Starting Block programme which has toured the country with individual films also screening in the USA and Australia, has been heralded as ‘formidable’, ‘thought-provoking’, ‘brave’, ‘excellent’, ‘fun’, ‘emotional’, ‘giving people an amazing insight into everyday people’s lives’. 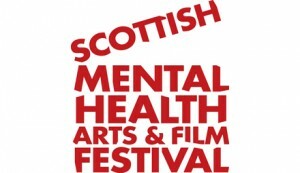 Scottish Mental Health Arts and Film Festival and Diversity Films invite you to watch these six intriguing personal films and meet the filmmakers and programme producers to find out more. 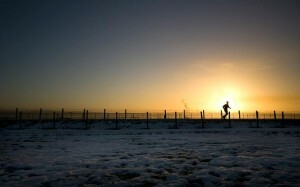 Starting Block short, Running Wild, will be screening at Edinburgh Mountain Film Festival. Another chance to see this inspirational documentary about the life of ultra-distance runner Fiona and her family. Four of the Starting Block shorts will be screening as part of an evening of local films at Projekta Film Club. The club is an initiative by Plantation Productions to bring local people and filmmakers together. The screening includes: James Dean, I, Alive, For the Love of Lugosi and My Father’s Son. You can find out more about the films here.